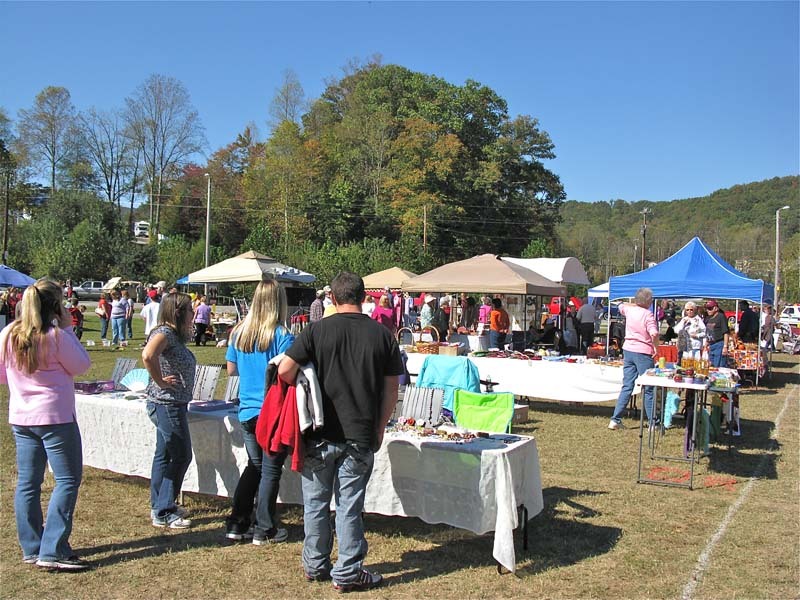 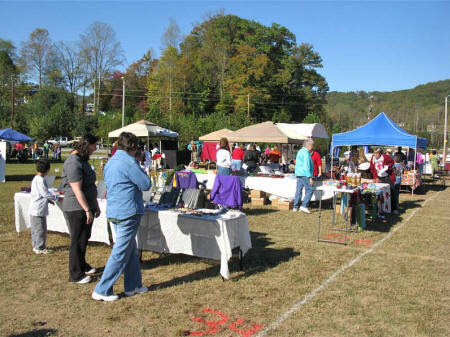 Below are photos from the October 15, 2010, October Sky Festival, held in Oliver Springs, Tennessee. Oliver Springs was the site of many of the filming locations (both interior and exterior shots) from the movie October Sky. 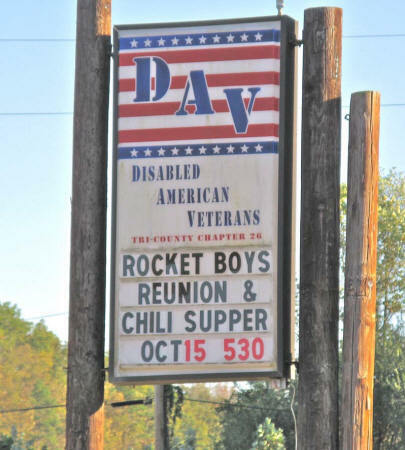 While the movie was being filmed, its title was still Rocket Boys; however the movie was renamed October Sky before its release. 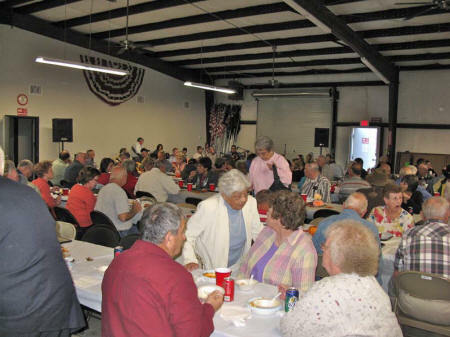 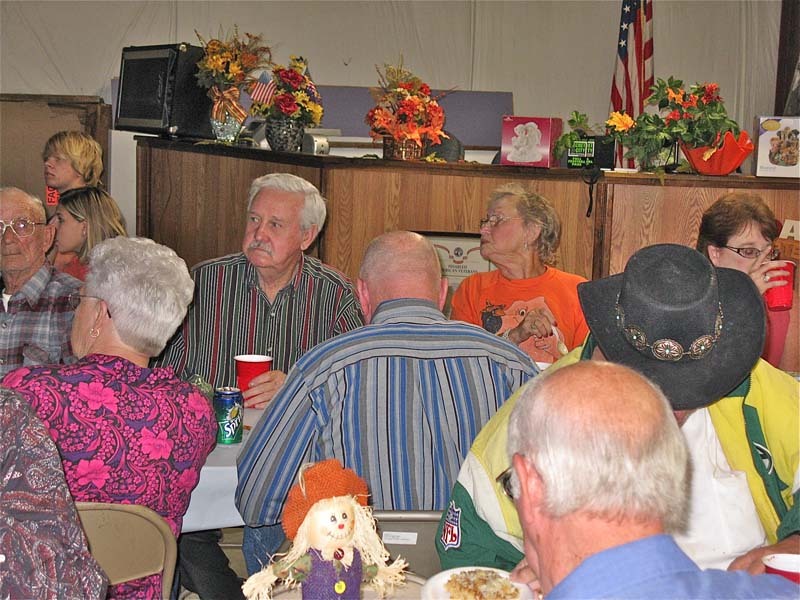 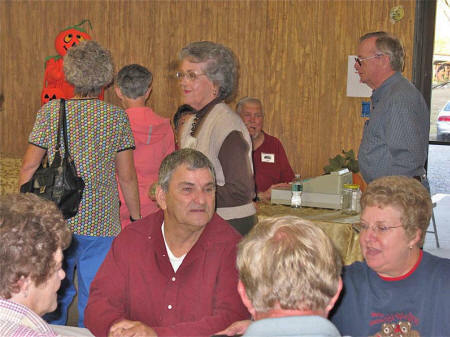 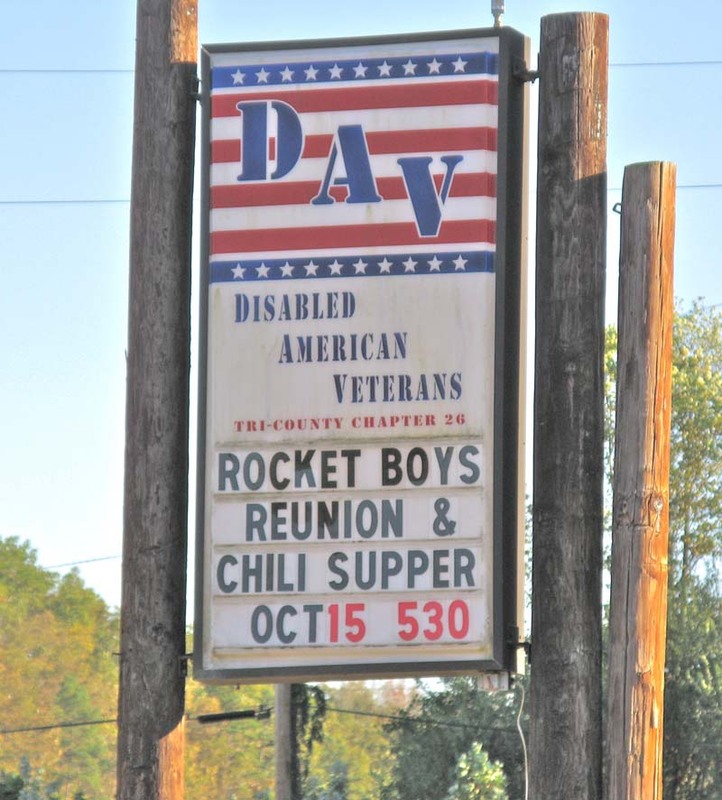 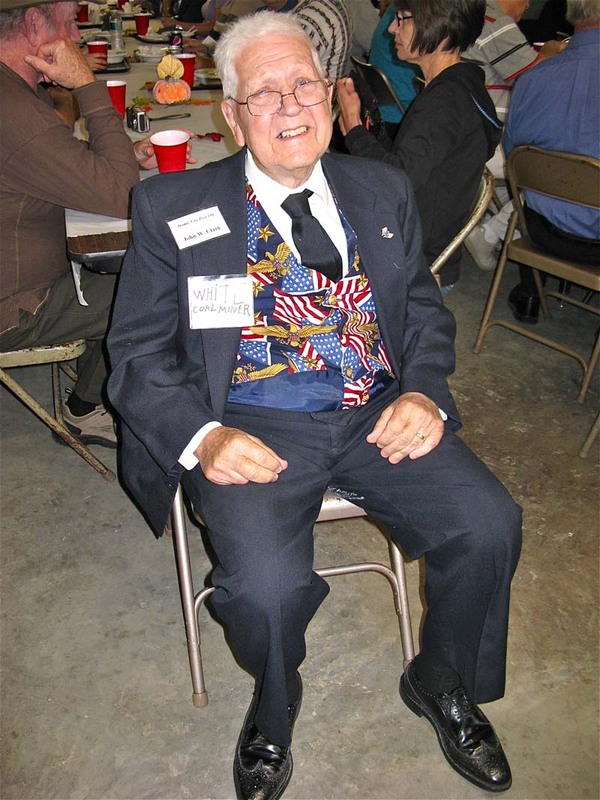 The DAV Hall in Oliver Springs was the site of the Rocket Boys reunion and a chili supper. 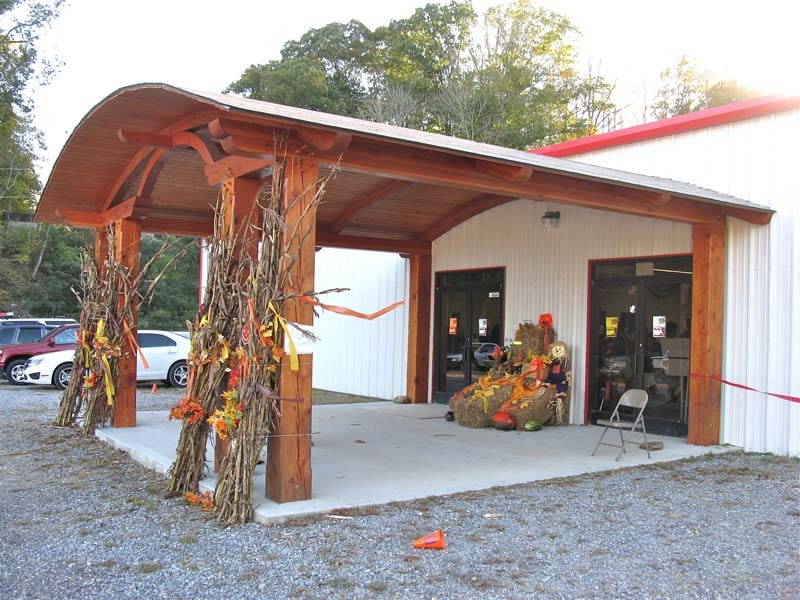 The entrance to the DAV Hall, nicely decorated for fall. 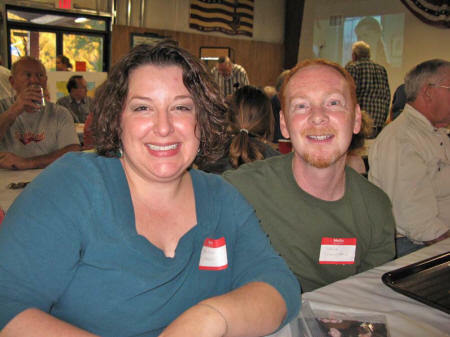 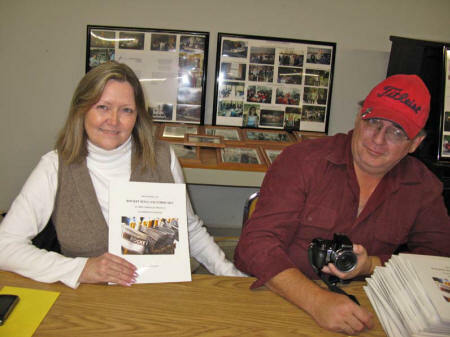 Barbara Hilemon and friend Andy display copies of Barbara's book The Making of Rocket Boys / October Sky As Seen Through the Eyes of the Movie Extras. 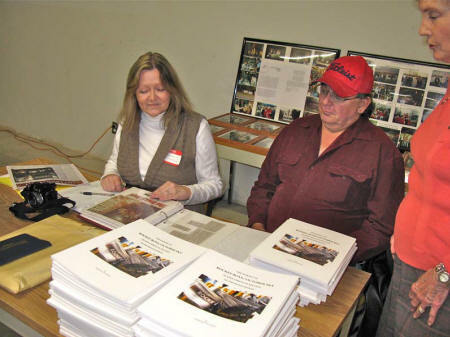 Barbara was happy to autograph her book. 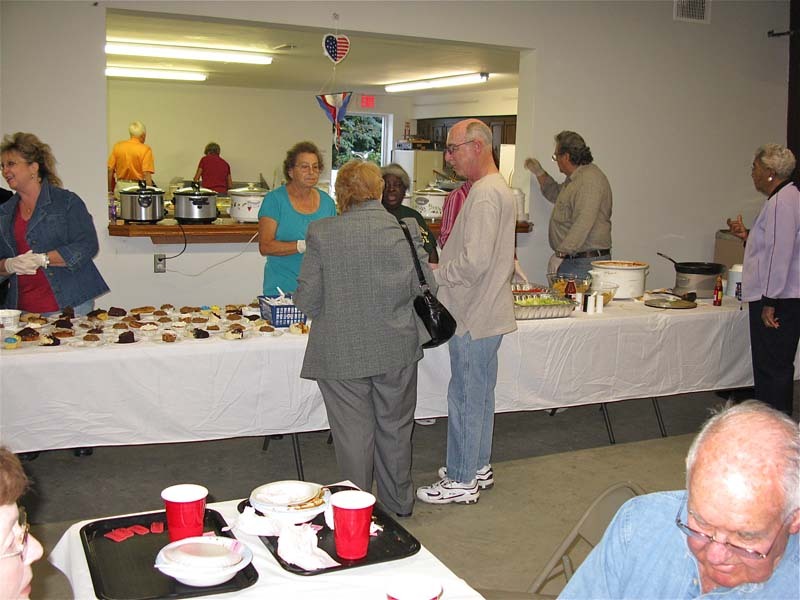 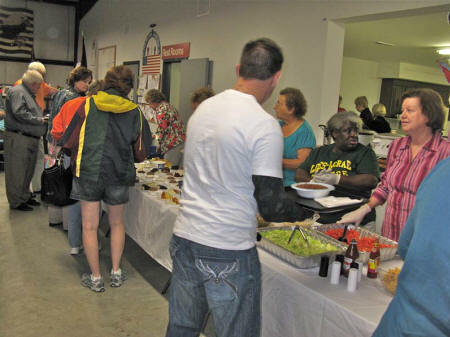 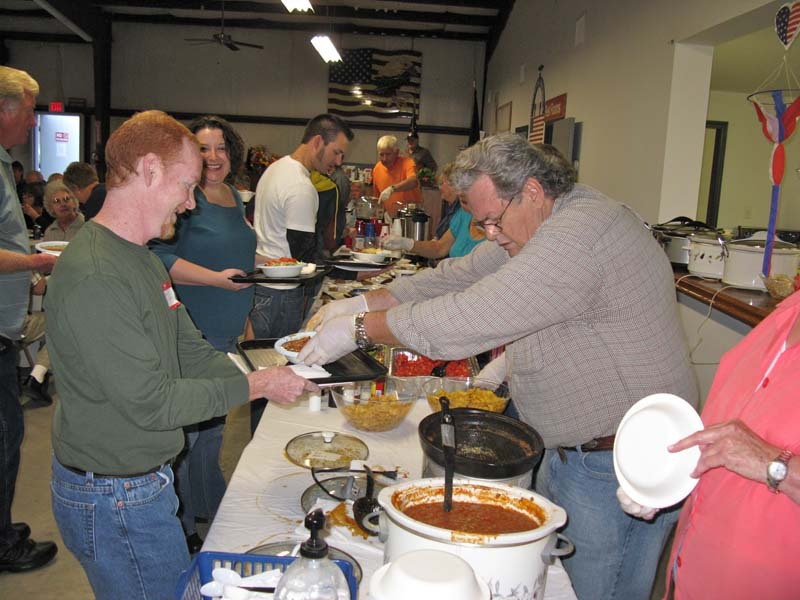 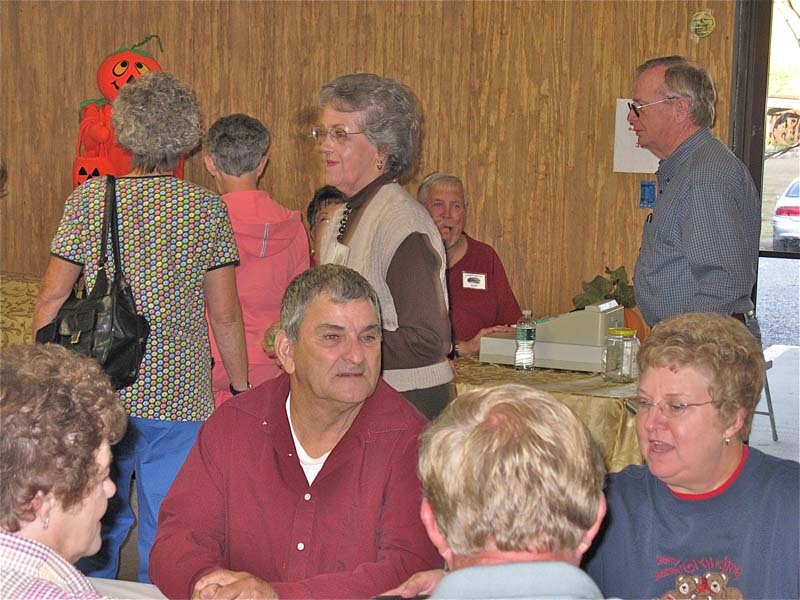 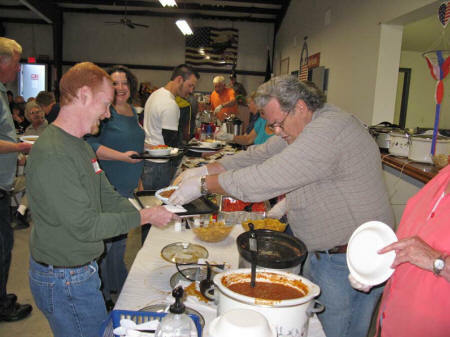 Guests go through the line for the chili supper. 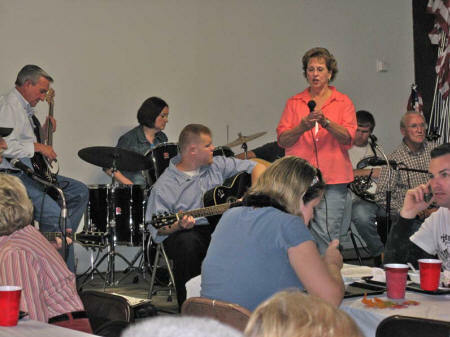 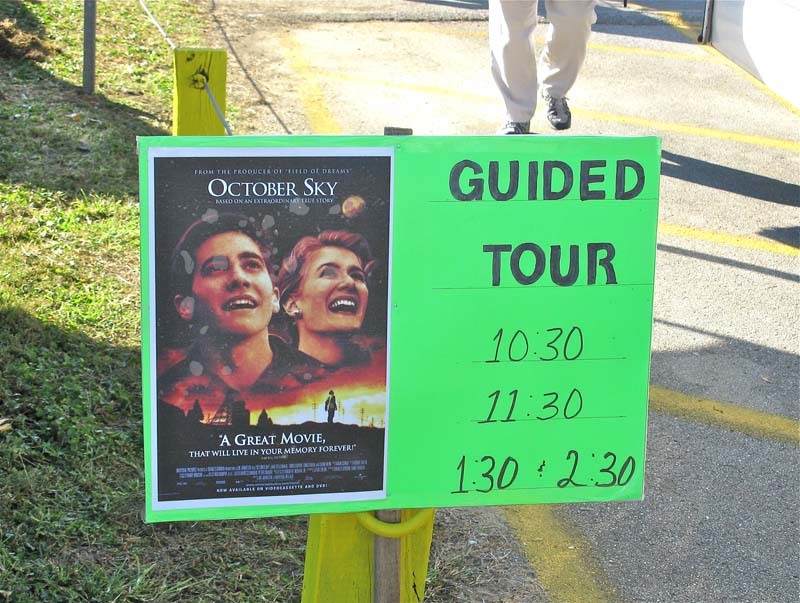 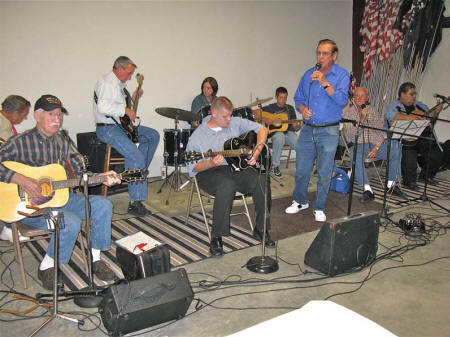 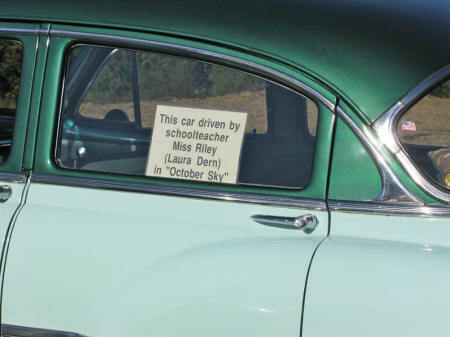 Entertainment included music and a showing of the film October Sky. Guests enjoyed dinner. 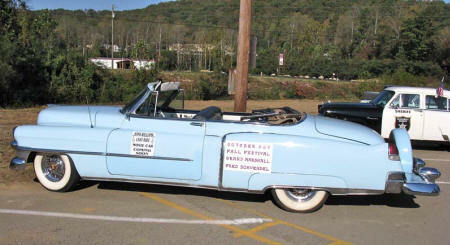 Many of the attendees were movie extras during the filming of Rocket Boys. 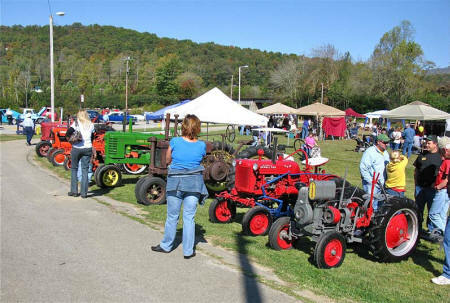 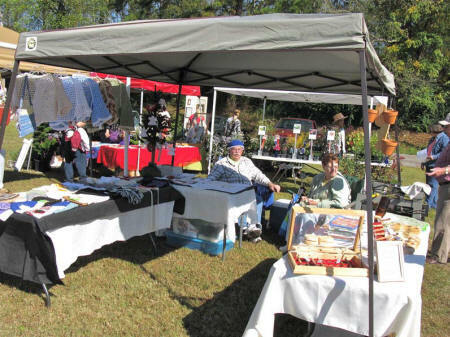 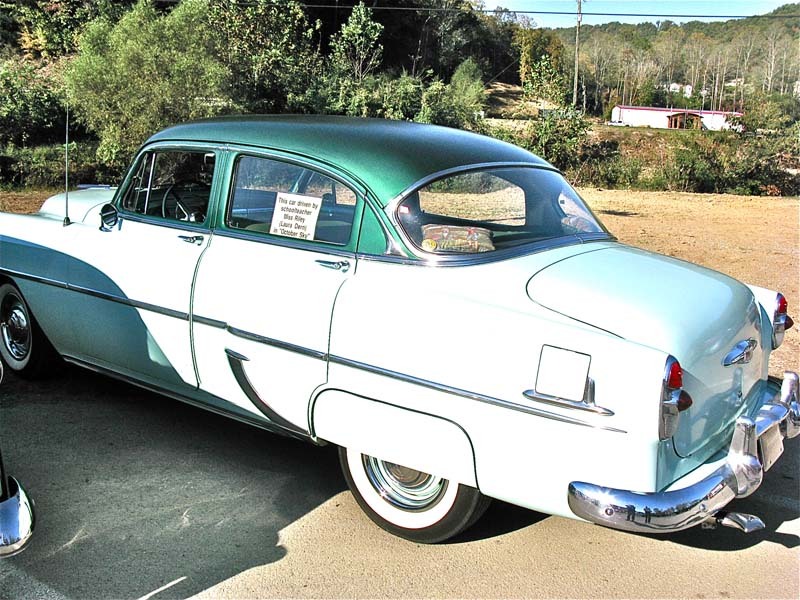 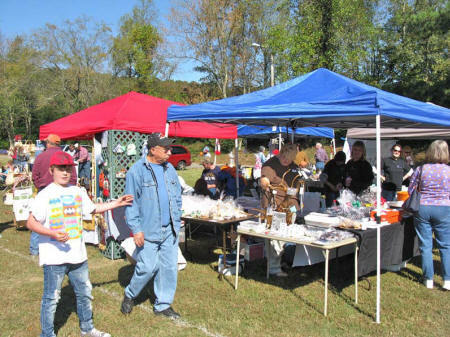 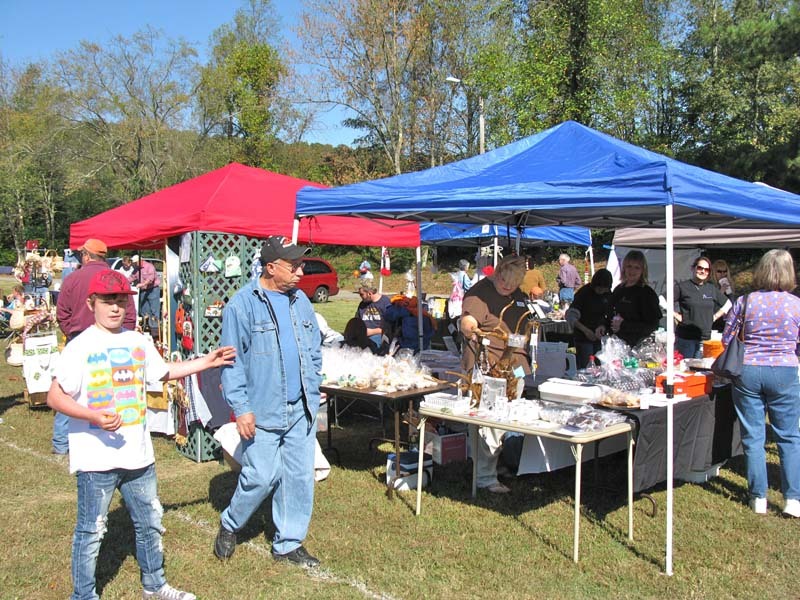 The next day was highlighted by a parade, a vehicle show and vendor booths. 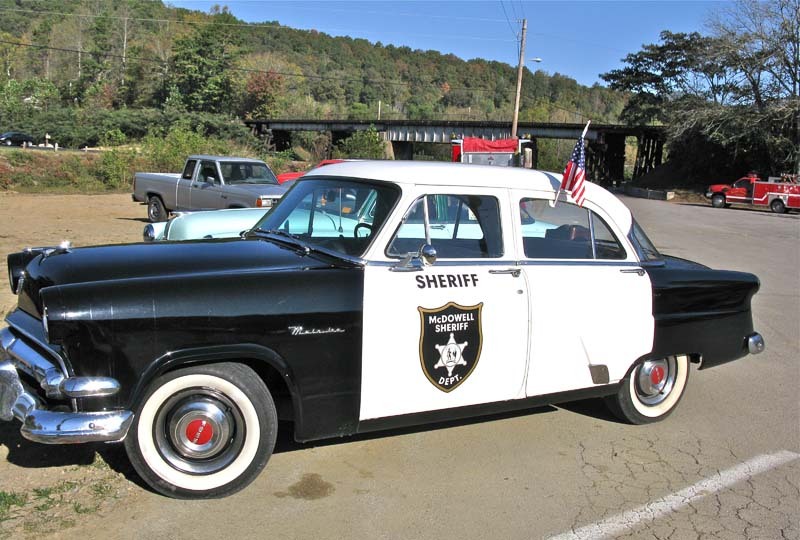 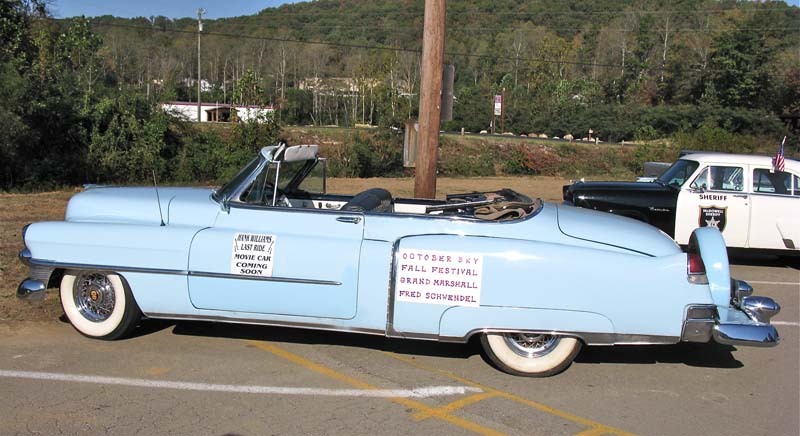 Grand Marshall Fred Schwendel rode in this car during the parade. 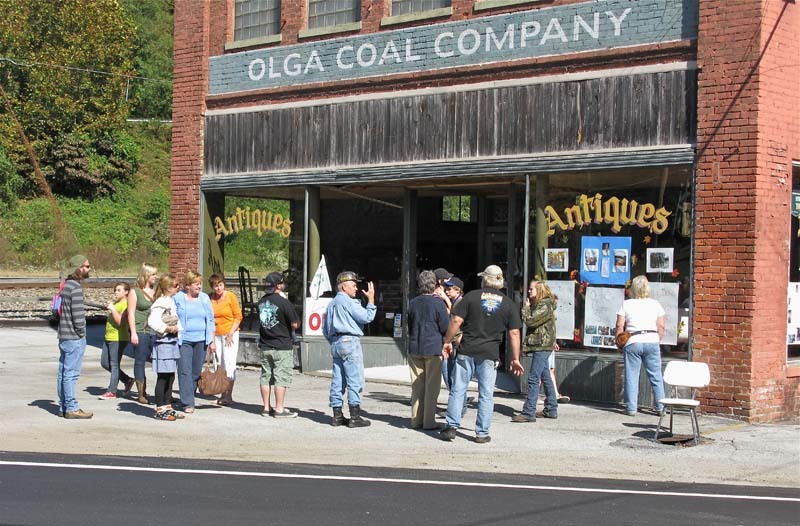 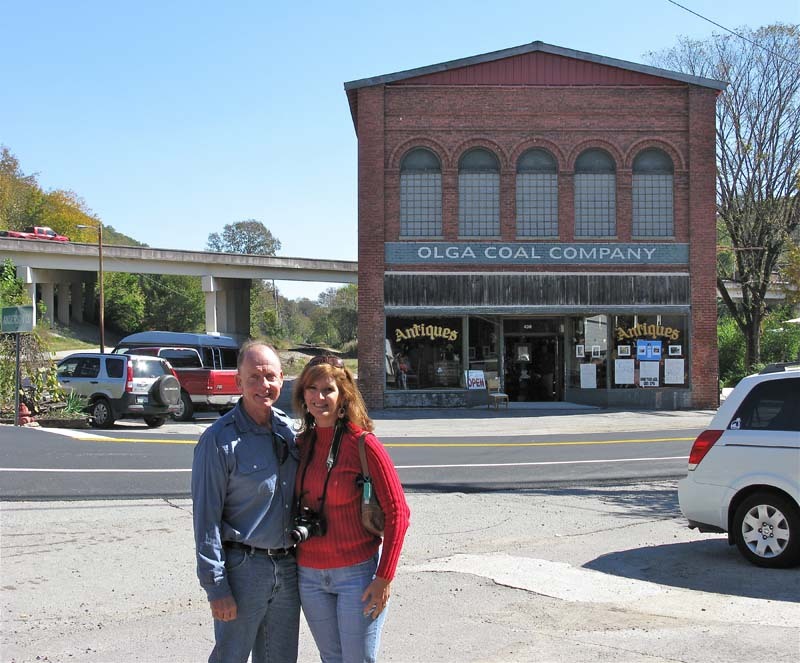 One of the highlights of the day was when Charles Tichy led four bus/walking tours of the filming locations around Oliver Springs. 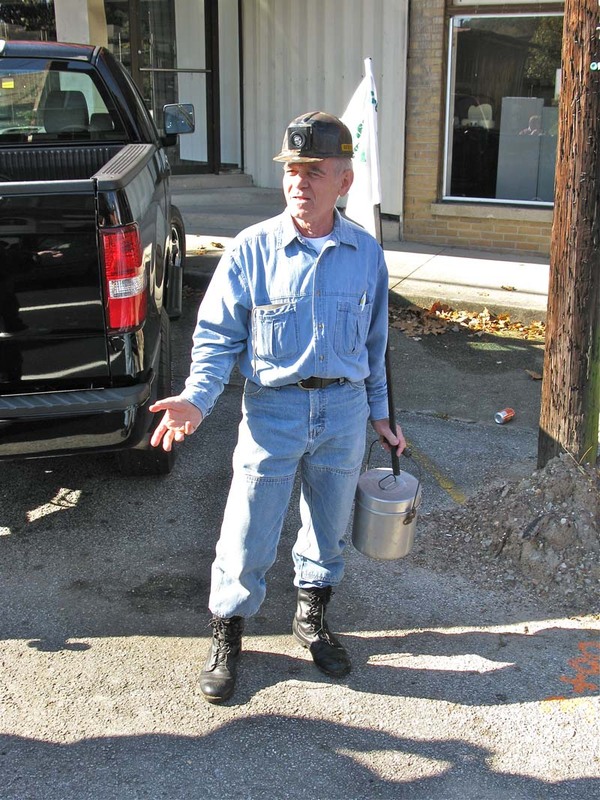 Charles Tichy, was was himself a movie extra, conducted the tours in a Coalwood coal-miner's costume. 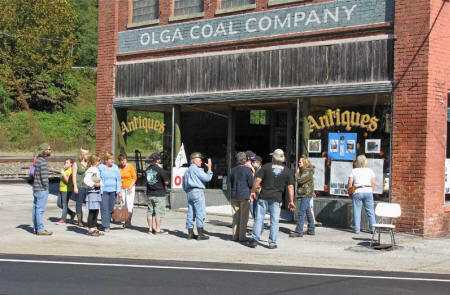 Charles and his tour group in front of the building used for interior and exterior shots of the Coalwood General Store during the filming of October Sky. 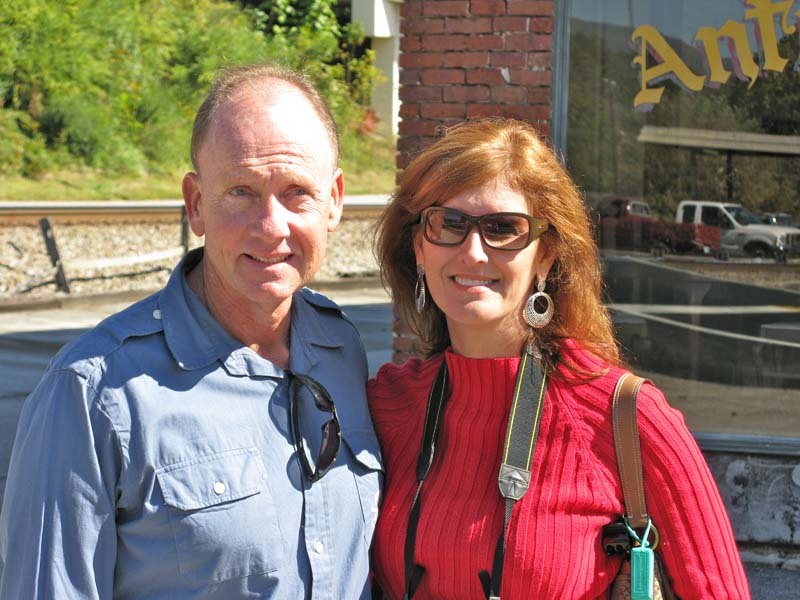 Grand Marshall Fred Schwendel and his wife, Barbara, in downtown Oliver Springs. Fred was on the film crew of Rocket Boys. He and others on the film crew was responsible for constructing and decorating many of the sets for the movie, including the interior of the Coalwood General Store behind him.